Sign up by June 14th to be guaranteed a T-shirt and swag bag. The Dragon Dash 5K will begin at 7:30 AM on June 22nd. Start/Finish line will be at the New Palestine Elementary School, 4801 County Rd 500 W, New Palestine, IN 46163, parking lot. 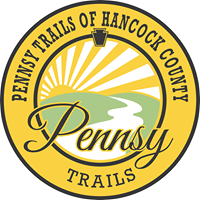 A portion of the proceeds will benefit the Pennsy Trail. If you have any questions, please feel free to contact us at newpalsummerfest@gmail.com. Early packet pickup & race sign-in will be held on Friday 21st from 5:30-7:30 PM at the Main Street Museum - 11 E Main St. New Palestine, IN. Race sign in, packet pick up, and day of registration will open at 6:30 AM on the morning of the race.